Looking for a Used GT in your area? 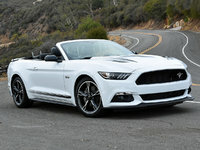 CarGurus has 52 nationwide GT listings starting at $238,899. The American Supercar is an elusive and evolving notion. Sometimes, cars like the Chevrolet Corvette ascend to supercar level with offerings like the ZR-1. Other times, the Dodge Viper steps up with its V10 engine. But one American car truly embraces the notion of mid-engine exotic: the Ford GT, which has returned for the 2017 model year. The Ford GT is the spiritual descendant of the GT40, one of the best-known cars in American racing history. The GT40 was built at the behest of Henry Ford II, when Enzo Ferrari canceled a deal (in which Ford was to purchase Ferrari) at the last minute. Ford, incensed, called upon Carroll Shelby and others to build a race car capable of beating Ferrari at the Italian automaker’s favorite track–Le Mans. The resulting car would usher in an era of Ford dominance at Le Mans. In 2004, the GT40’s image was revived in the form of the similar-looking Ford GT, of which Ford manufactured 4,038 units before ending production in 2007. But now the GT has been resurrected yet again, and not simply as an homage to the GT40. Unlike the previous GT, this car’s production will be limited to 250 per year, making it a rare beast indeed. The 2017 Ford GT is arguably one of the most radical designs on the automotive market--it upstaged every other car at the 2015 North American International Auto Show. Instead of working off the 2004-2007 GT’s derivative design, the 2017 GT goes fully impressionistic, with wild angles and flying buttresses. Any design links to the previous version of the car are very subtle. Instead of looking to the past, this car looks intently towards the supercar’s future. Perhaps the most striking visual features on the new GT are the aft buttresses, where air can flow from behind the butterfly doors and out the back almost unimpeded. As such, the rear wheel housings appear to be almost free-floating. Air also enters the front of the rear wheel nacelles to cool the rear brakes, exiting through vents in the center of the halo-style taillights. The GT sheds its exhaust from two large pipes set high and center in the rear of the car, and the howl is literally like nothing else you’ve ever heard from an automobile. The piece-de-resistance of the Ford GT is its engine. 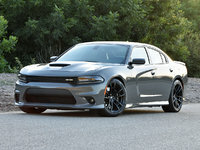 The twin-turbo 3.5-liter V6 unit makes an astounding 720 hp and 539 lb-ft of torque. Power is sent to the rear wheels through a 7-speed semi-automatic transmission operated via steering-wheel-mounted paddle shifters. Our sources tell us the GT will weight in at a scant 2,550 pounds, which, combined with the potent powertrain, should yield a 9.4-second quarter mile and a top speed in excess of 200 mph. Ford used a great number of carbon fiber components on the GT, along with many other different technologies. The windshield is made of Gorilla Glass, which is intended to protect it from nicks and scratches as you reach those top speeds. Active aerodynamics keep the car planted when nearing 200 mph, and although the front splitter remains fixed, the rear spoiler can pop up at higher speeds to help keep the GT in control. The active rear spoiler can operate as an airbrake as well, reducing the GT’s braking distances. The Ford GT also features an active suspension system that can raise and lower as needed. As the car travels faster, the suspension will lower, reducing the air traveling under the car and improving aerodynamics. At mortal human speeds, however, the suspension raises, so highway driving doesn’t become a matter of avoiding pebbles in the road. And in true supercar form, there is a function that raises the front wheels even higher, allowing the low-slung car to clear speed bumps without scratching its undercarriage. The Ford GT will be priced around $600,000. That puts it in the neighborhood of the McLaren 675LT and special-edition Ferrari F12tdf, and north of the Lamborghini Aventador. It will be an extremely rare car with world-class performance and the price and pedigree to match. American automakers have long been chided for building vehicles for the masses and not knowing how to make a truly refined, world-class product (the previous GT had an engine that came from Ford’s pickup inventory). But the 2017 Ford GT is something completely different. It is the culmination of the Blue Oval’s vast resources, internal R&D, and industry relationships, all leading to one of the most breathtaking and significant supercars to ever grace a showroom or track. 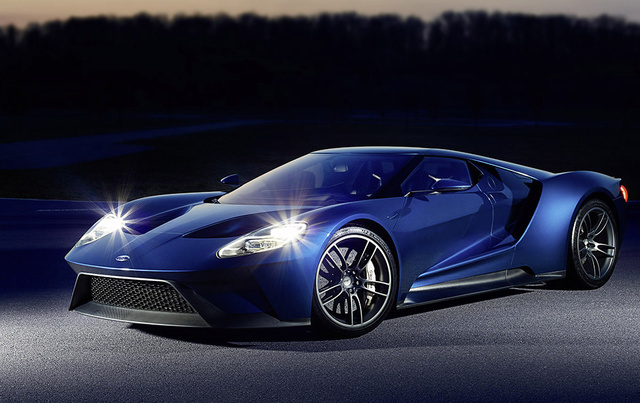 What's your take on the 2017 Ford GT? Have you driven a 2017 Ford GT?